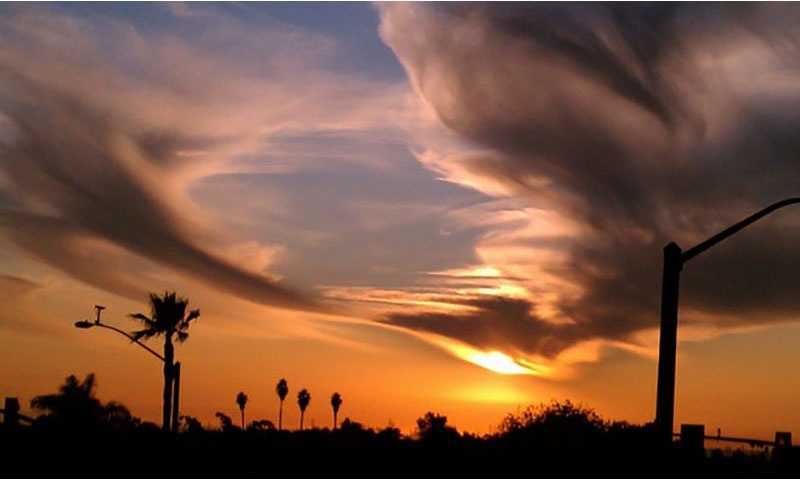 Chula Vista is Spanish for “Beautiful View” and there is more to see and do here than meets the eye. 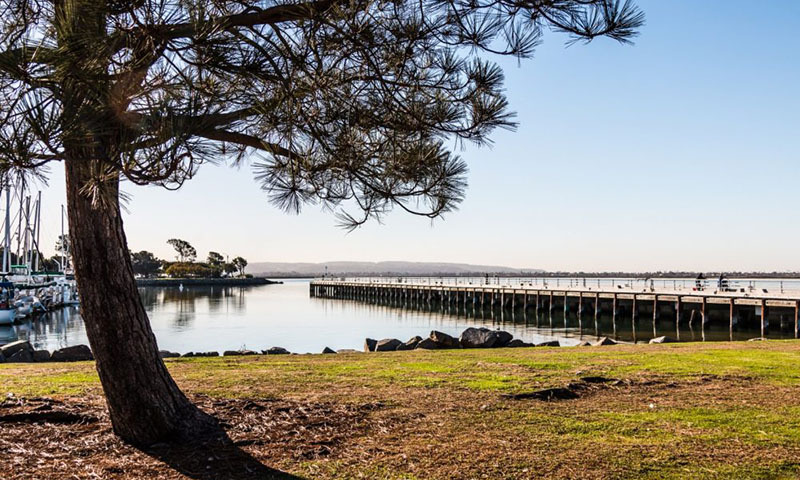 Perfect year-round weather, plenty of trails, mountains, coastline and amenities makes Chula Vista a haven for for everyone from outdoor enthusiasts to families to businesses. 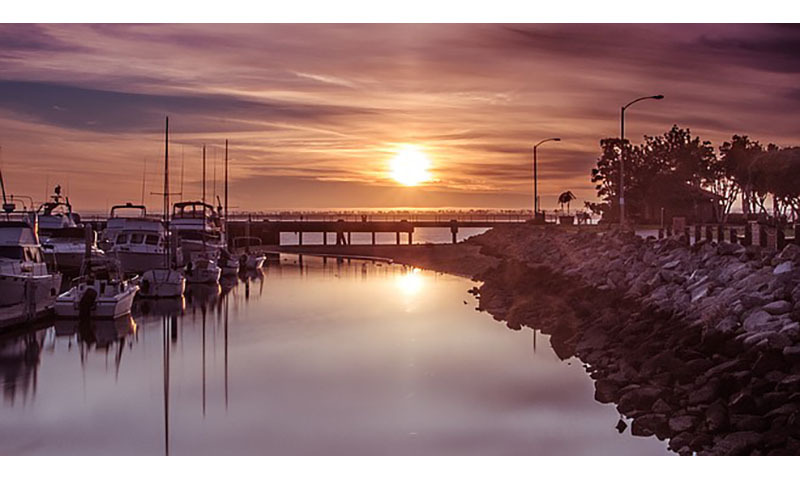 Chula Vista is the second-largest city in San Diego County offering over 52 square miles of beautiful coastal landscape, rolling hills, canyons, parks and more. The city is known for its focus on economic growth and prosperity, leadership in conservation and renewable energy, as well as excellent public schools. Chula Vista was also voted one of the top safest cities in the country! 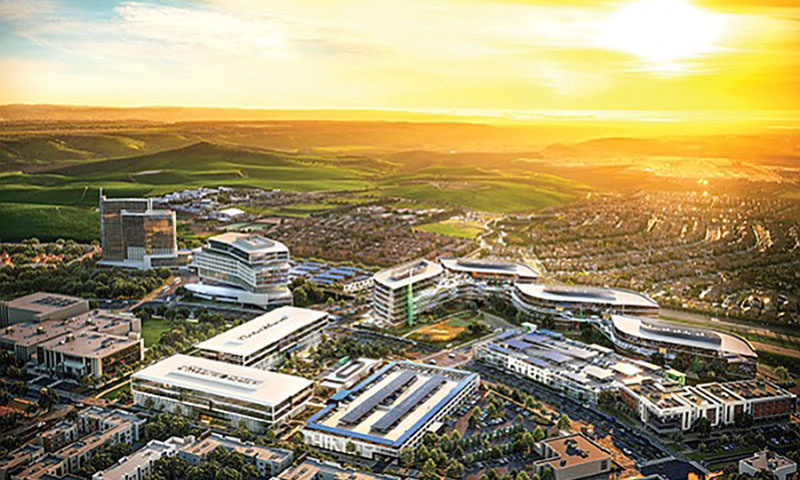 Located just 7.5 miles from downtown San Diego and 7.5 miles from the Mexican border in the South Bay region of the metropolitan area, the city is at the center of one of the richest economic and culturally diverse zones in the United States. Chula Vista has a population of approximately 268,000. Chula Vista has something to offer for every lifestyle. Diverse housing choices exist within a safe, attractive, balanced and sustainable community. 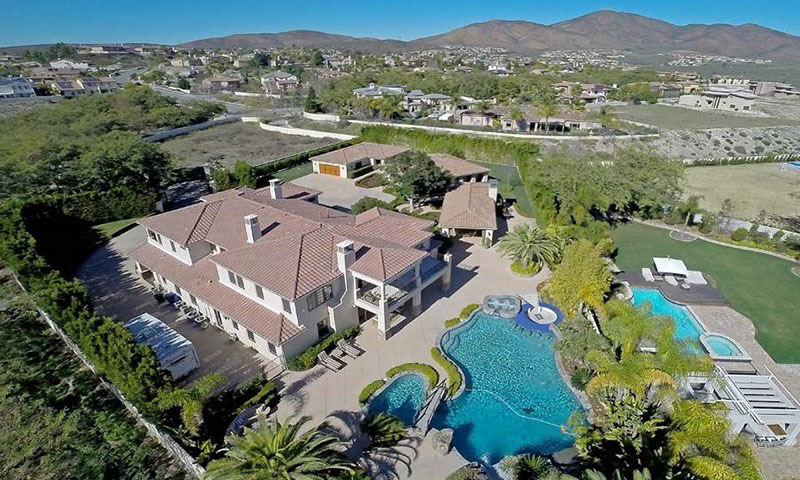 From breathtaking luxury homes of EastLake, Rancho Del Rey, and Rolling Hills communities to the developments of Bonita, Lomacitas, Rancho De La Nation, Vista Pointe Estates, and Rancho Del Rey all represent Chula Vista’s beautiful homes. Tree lined streets, large yards and historic homes offer a quiet small town feel. Energy efficient homes are a fast growing option with photovoltaic solar panels that help your power bill as well as help the environment are offered on many of our newer housing developments. Programs such as “Home Upgrade, Carbon Downgrade” is a great example of how existing Chula Vista homeowners can reduce their energy/water use and utility costs, while stimulating the local economy and lowering the community’s greenhouse gas or “carbon” emissions, by adding energy efficiency improvements. 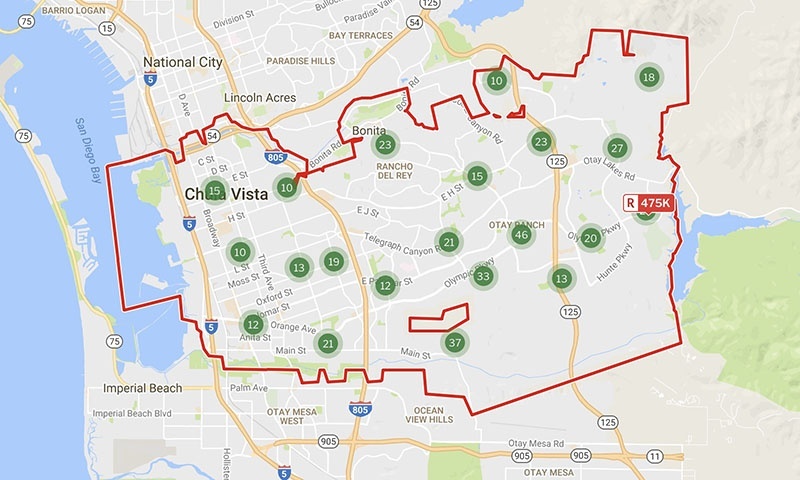 The Median Home Value in Chula Vista is $573k with a price per square foot around $293. Chula Vista has plenty to offer, from its outdoor recreation to family activities to urban amenities. There is no shortage of things to see and do here. Shopping and dining in Chula Vista is one of the best around. 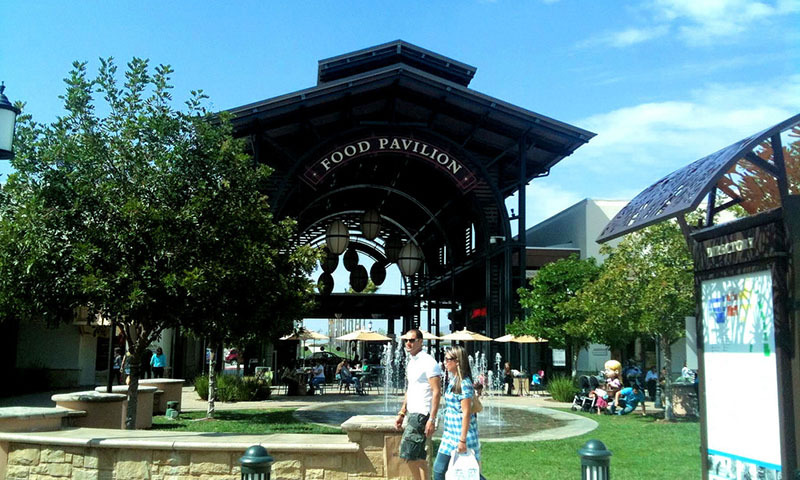 There are two major malls and a historic downtown district which offers over 100 of the country’s top specialty stores. Otay Ranch Town Center is a popular outdoor food and shopping destination for locals and visitors alike. 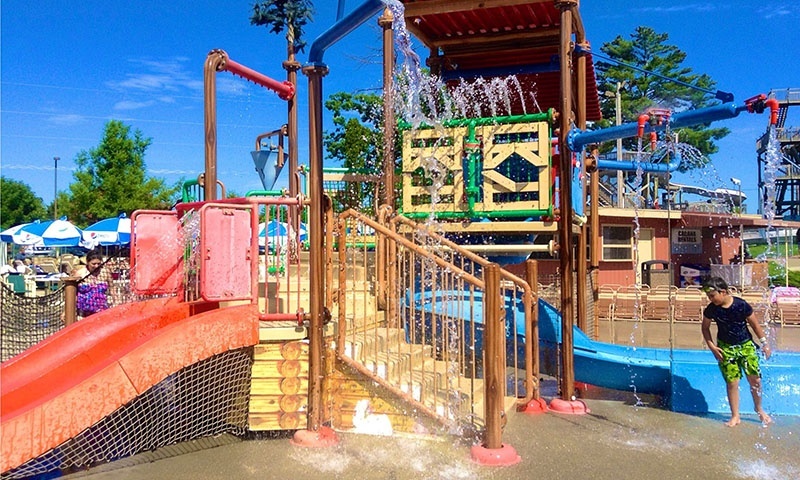 The bustling urban center features a variety of amenities including a library, outdoor cafes, a pet-friendly setting and an adjacent dog park, food pavilion, fireplace, and “popper” play fountain for children. 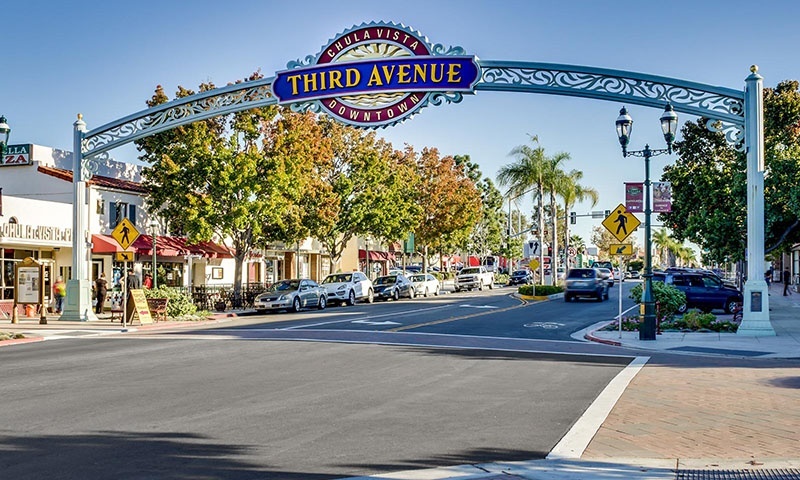 Chula Vista’s downtown area is home to movie theatres, outdoor music concerts, major retailers and over 100 fine specialty shops. 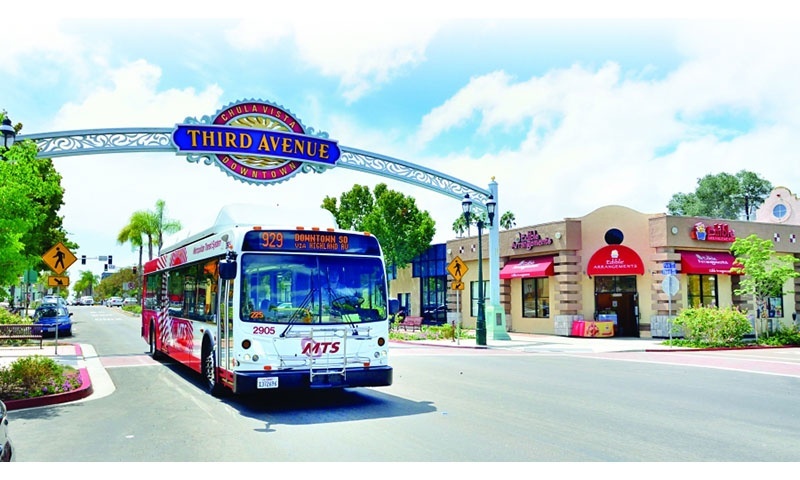 Third Avenue Village is located in the center of the city and features historic buildings, a wonderful weekly farmers market as well as unique shops, dining and seasonal events for the whole family. Chula Vista has over 56 parks and sports fields accessible for outdoor sports, recreational activities and family gatherings which includes the Chula Vista Elite Athletic Training Center and Aquatica (SeaWorld’s Waterpark). The city offers excellent educational opportunities from preschool to college. In 2012, 9 schools were recognized as California Distinguished Schools and 4 were honored for excellence by the National Center for Urban School Transformation. For those looking for higher education, Southwestern College offers two-year programs in a range of disciplines. 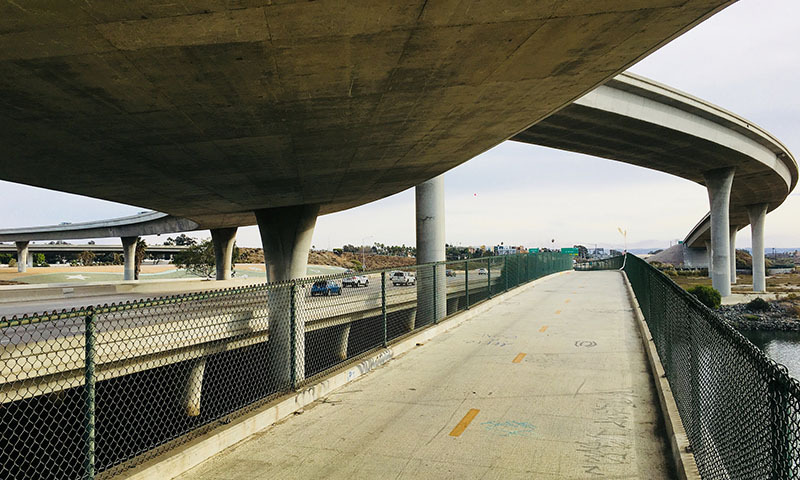 With a trolley system, an extensive roadway system, numerous trails and pathways, as well freeway connections, there are plenty of travel choices in Chula Vista. The City has a Bikeway Master Plan, Pedestrian Master Plan, and an Urban Core Specific Plan that guides improvements and enhancements for our transportation network. Many established neighborhoods offer easy access to freeways such as Interstate 5 and 805, and SR 125 making travel to any part of Chula Vista or San Diego fast and efficient. Single and multi-family homes are located within walking distance from many local schools such as EastLake, Hilltop, and Chula Vista high schools and from entertainment destinations such as downtown Chula Vista, Chula Vista Shopping Center and Otay Ranch Town Center. Outdoor recreation and family fun is only an easy walk or bike ride away with more than 56 parks and interspersing green space weaved throughout every neighborhood. Cycling is encouraged in Chula Vista. There are multiple choices for you to bicycle in and around the city. 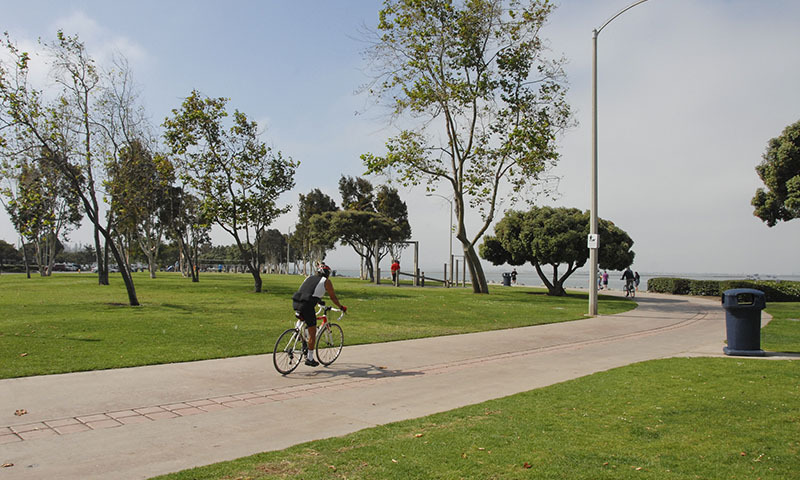 Chula Vista has nearly 100 miles of dedicated bicycle facilities including more than eight miles of multi-purpose Class I bike paths along the San Diego Bayshore Bikeway, northern Chula Vista and through eastern Chula Vista. On our roadways, Class II bike lanes comprise about 75 miles of facilities throughout the city and our Class III bike routes total about 34 miles. 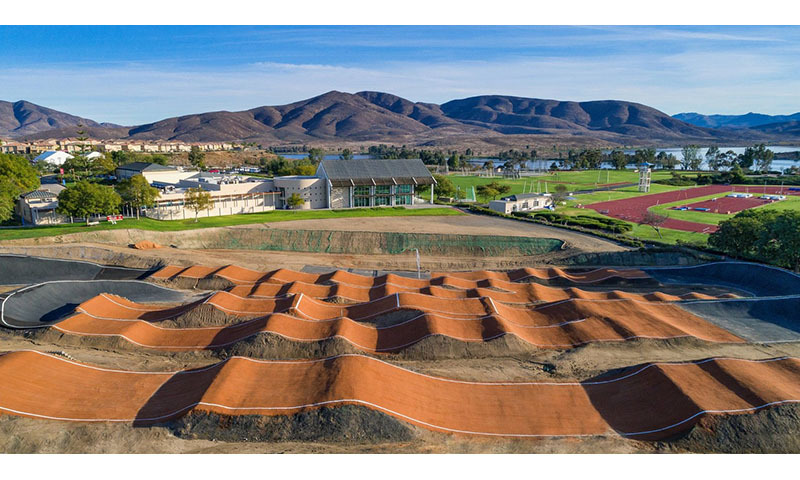 For the mountain biking enthusiast, we have the Otay Valley River Park that starts by San Diego Bay and ends near the Chula Vista Elite Athlete Training Center located by the Lower Otay Lakes. In addition, there are numerous hiking and biking trails in our eastern canyons offering plenty of choices for your enjoyment. The City has more than 475 miles of roadways and we are committed to keeping the city pedestrian-friendly. Walkability is a key design feature in historic downtown, established neighborhoods and newer communities. And, the park system has many walking and hiking trails for outdoor recreation. Aquatica, SeaWorld’s Waterpark offers 32 acres of water wonder with rides, slides, exotic marine animals, and plenty of family fun, it combines up-close animal experiences with a water park allowing visitors to interact with a variety of animals to create the ultimate guest experience and quality entertainment for the whole family. 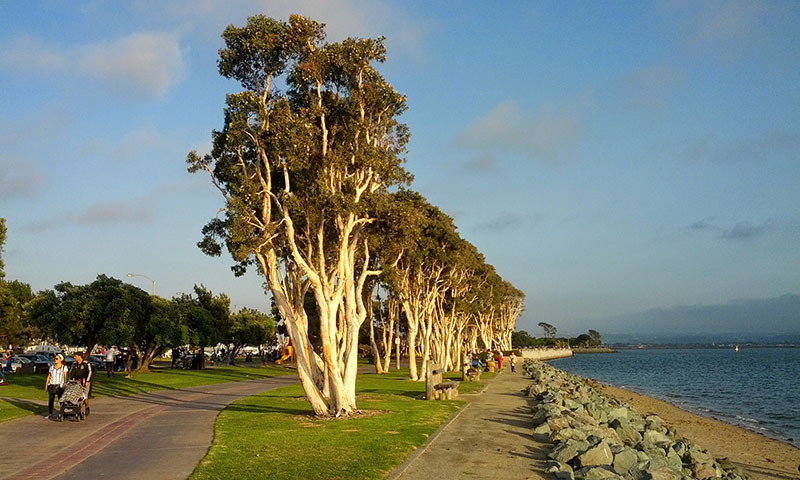 Cycle the Bayshore Bikeway and see more wonders on San Diego Bay. Tour the Chula Vista Elite Athlete Training Center and see America’s best amateur athletes. Located in the eastern part of the City, was built in 1995 and occupies 155 acres. Funding for the $65 million facility was raised by the San Diego National Sports Training Foundation and a land grant from Eastlake developers. Athletes in archery, beach volleyball, BMX, canoe/kayak, cycling, field hockey, rowing, rugby, soccer, tennis, track & field, triathlon, and cross-training abilities for various winter sports train at the Center. 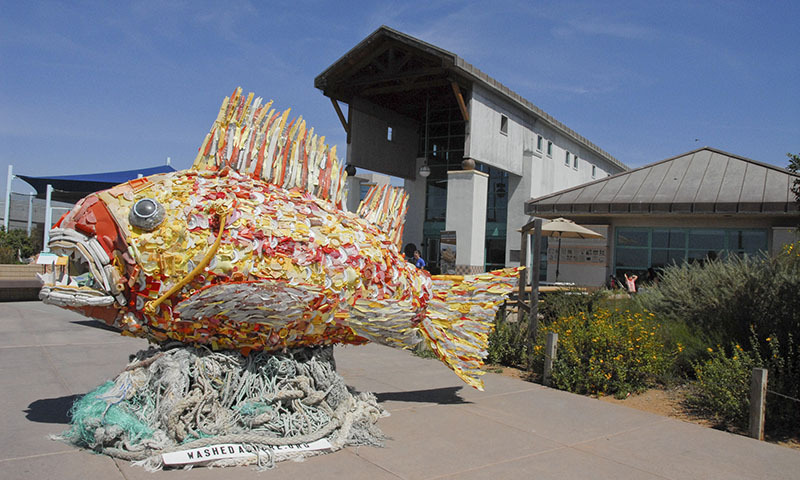 The Living Coast Discovery Center - This award winning Nature Center offers interactive exhibits that covers history, geology, ecology, natural history and bio-diversity of Sweetwater Marsh and San Diego Bay. Exhibits include a shark and ray tank, aviaries housing waterbirds, hawks and owls, bird watching platforms and drought tolerant gardens attractive to hummingbirds and butterflies. The Mattress Firm Amphitheatre is an outdoor performing arts theater with reserved seating for 10,000 and additional seating for 10,000 on an attractively landscaped lawn. The venueis located just 17 minutes from downtown San Diego in Chula Vista, and is the area's first major concert facility designed specifically for music. See world-class entertainers perform year-round and listen to everything from from rock and roll to rap to reggae. Harbor/Marina - Chula Vista's scenic harbor offers spectacular views and easy access to southern San Diego Bay. The harbor includes two marinas, an RV park, and several restaurants. 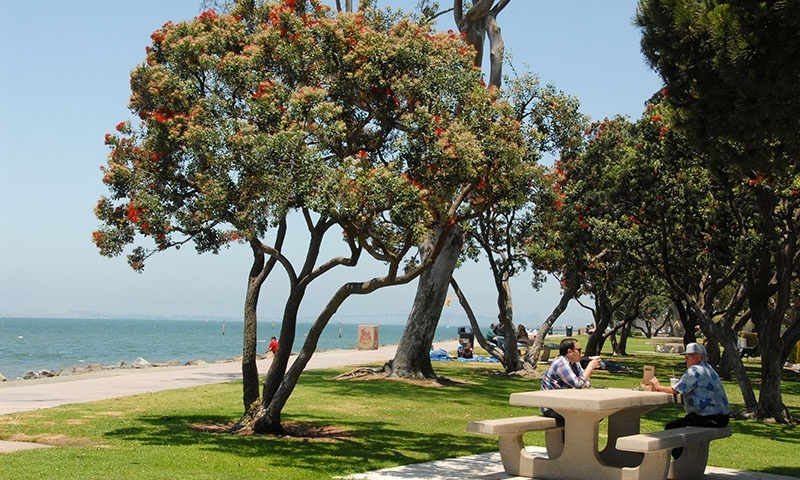 It is also home to Chula Vista Yacht Club and two waterfront parks. Various sport fishing, sight-seeing and whale-watching charters operate out of Chula Vista Harbor. Len Moore Skate Park - This premier South Bay skate park is designed for both “street" and competitive skaters. Famous local skater, Tony Hawk has even been a guest! There are four skate areas that include ramps, rails, and all the “essentials.” Park rental is also available—it’s safe, fun and the entire park is yours! Call for details. Otay Valley Regional Park - The Otay Valley Regional Park (OVRP) is a multi-jurisdictional park that runs through Chula Vista. The OVRP offers its visitors a relaxing sense of well being in a natural river valley. There are trails for hikers, bikers and equestrians. Those with a passion for angling will find peaceful fishing holes along the trails throughout the OVRP. Discover native plants and animals, and enjoy the great outdoors! Chula Vista is also home to OnStage Playhouse the only live theater in South Bay, San Diego. Last but not least, Golfers can hit the links on one of four challenging yet playable golf courses also available in Chula Vista. One of the happiest places to live. 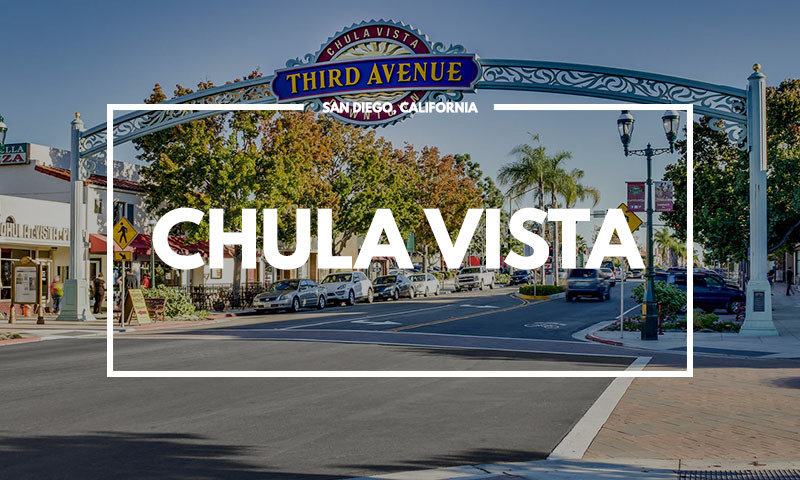 Established neighborhoods, contemporary communities, start-up firms, corporations, nationally recognized entertainment venues, and miles of coastal landscape, parks, and entertainment options and safety makes Chula Vista one of the most attractive places to live for families and businesses alike.